Looking for a family movie with teachable moments and a great story line? You are in luck, I found a great one for you, Iesodo (Yay-Sa-Doe) is filled with excitement. These birds have many adventures and have to make choices along the way, hopefully the right choices. A wise dove named Lesodo, who’s name means “The way of Jesus”, is the leader of the flock. He helps out many of the feathered friends in the Holy Land. My children and I have been enjoying the movie Love and can’t wait to see the others. One of the greatest things about these movies is they can be enjoyed by the whole family and we love having family movie nights. and many more to come, now is the perfect time to start watching them with your children. Visit the website for loads of great information, games, crafts, a behind the scenes video, and more. You can enjoy many great stories about Iesodo and his friends, teach your children valuable lessons, and enjoy time together. Sounds perfect to me. We are looking very forward to our next family movie night. 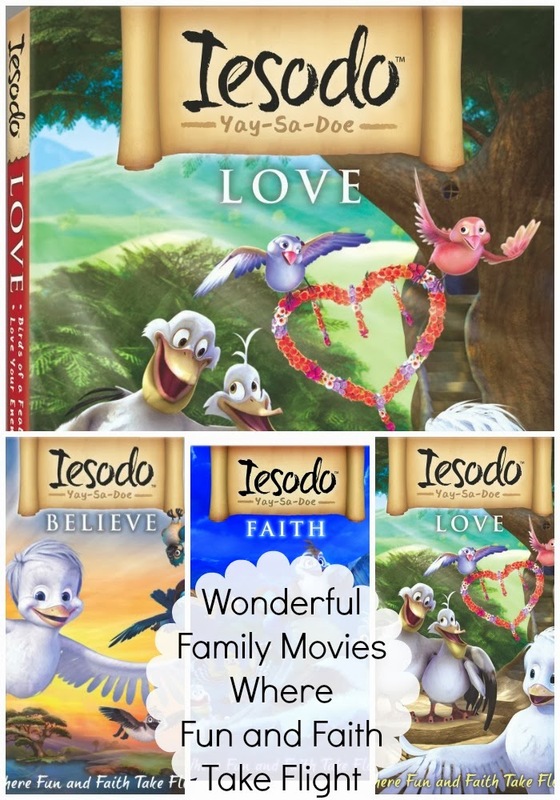 The DVD Iesodo Love was given to us in exchange for an honest review. We honestly loved it.